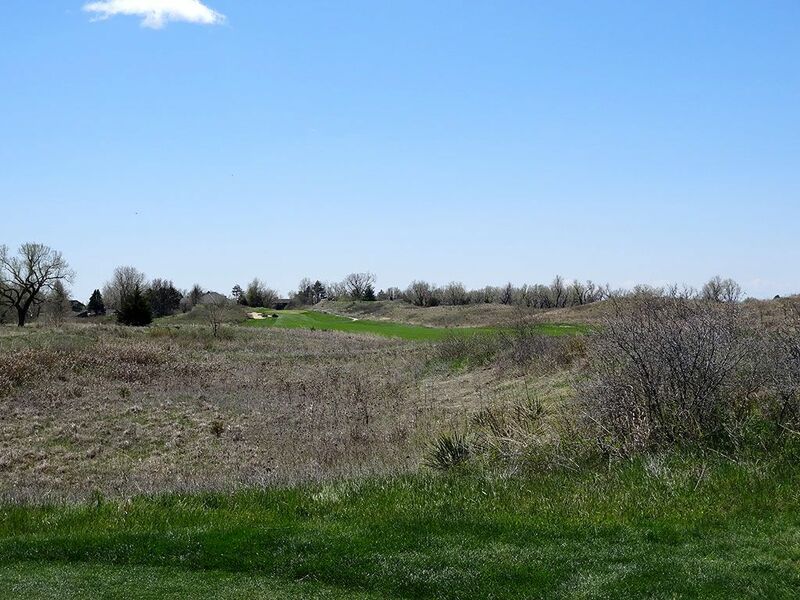 Course Website: Official Website - Visit Prairie Dunes Country Club's official website by clicking on the link provided. 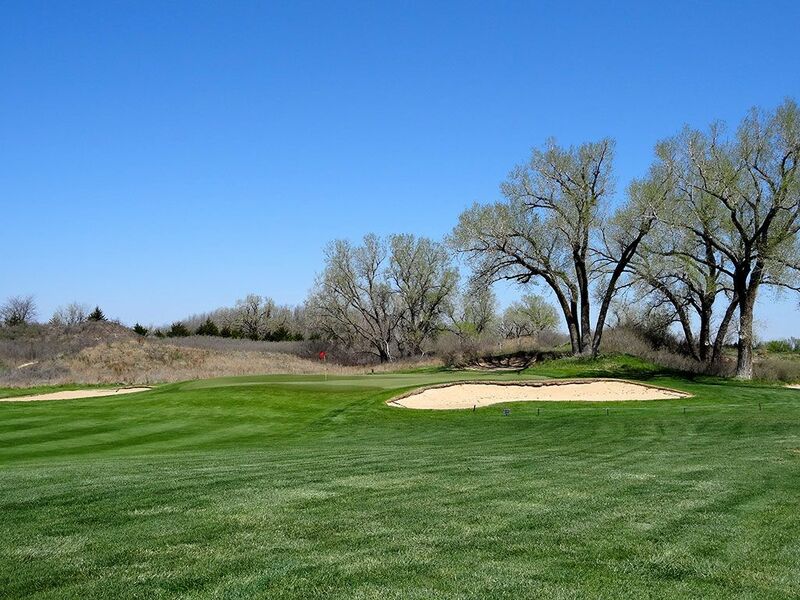 Accolades: Ranked 1st in Kansas on Golf Course Gurus' Best in State list. 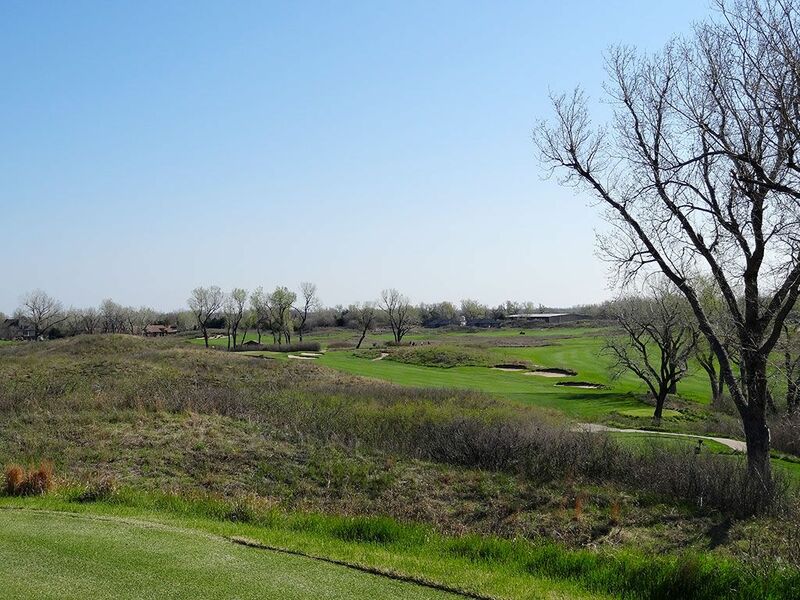 What to Expect: Long before Sand Hills became the chic destination of minimalists looking for a remote retreat, Perry Maxwell gave the world Prairie Dunes. 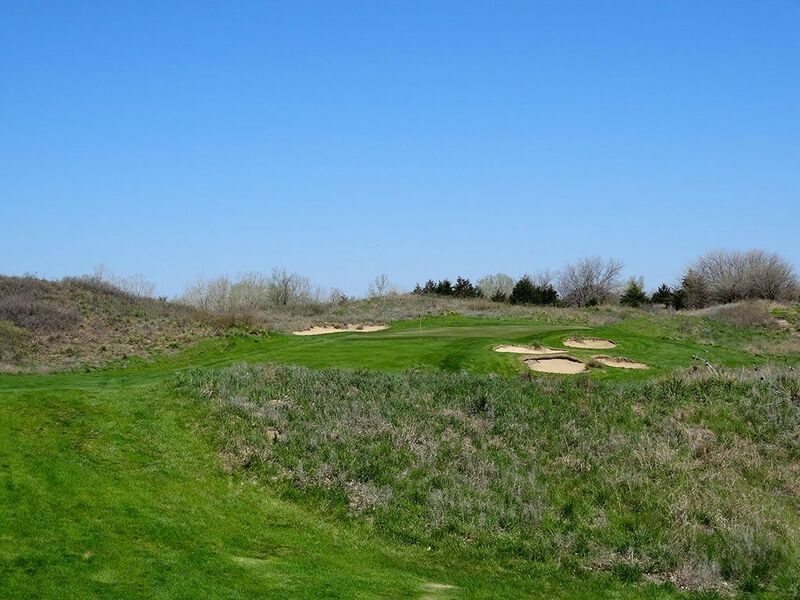 This perennial Top 25 design located in the middle of Kansas features a walkable routing that utilizes natural sand dunes as locations for dramatic green and tee sites. 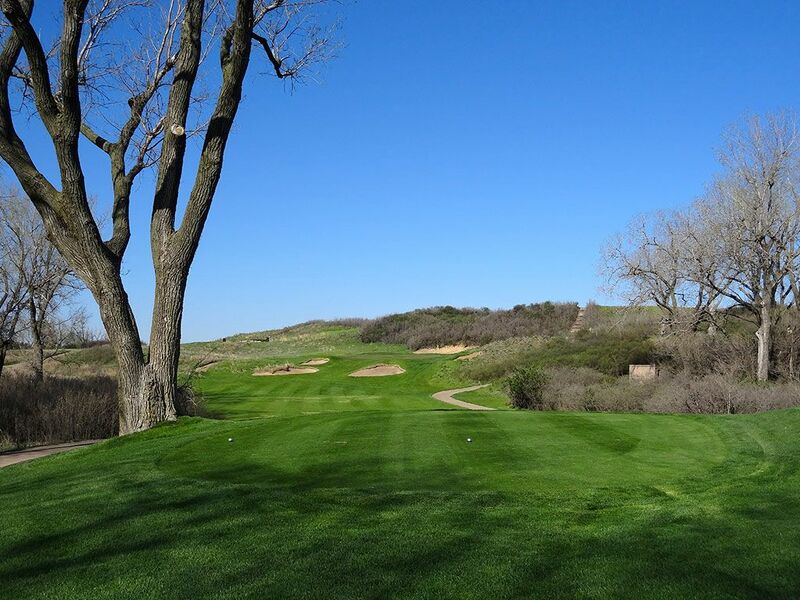 Carts and caddies are available, but most players you'll find at Prairie Dunes will be toting their clubs on their back and enjoying the stroll. 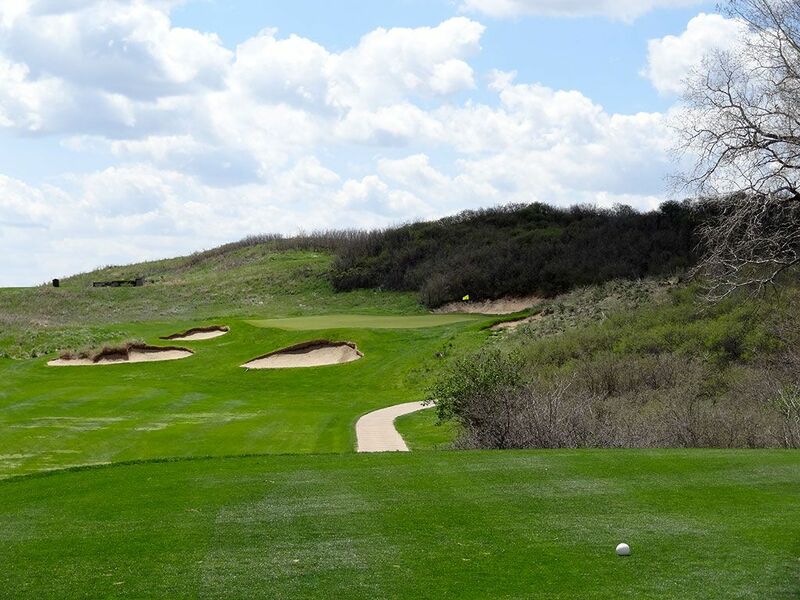 The course is challenging to score well on which can be attributed to the difficult green sites and the fact that just two par 5s are found throughout the par 70 routing. Driving zones are generous throughout while approach shots demand precision to particular portions of the green in order to hold the putting surface and/or to setup a decent look at the hole. While there are only two par 5s on the course, they run in opposite directions which provides a nice variety when the wind is blowing. Where variety lacks at Prairie Dunes is with the par 3s which all play uphill to dune tops. Conditioning is beautiful at the course while missing the fairway in the junk is 50/50 on whether you'll have a decent shot at advancing the ball or never finding it. The club wisely built cottages onsite where members and their guests can stay for a weekend of golf. While the cottages are very well done, nothing at Prairie Dunes is over the top. Accommodations, dining, and members are classy yet casual. 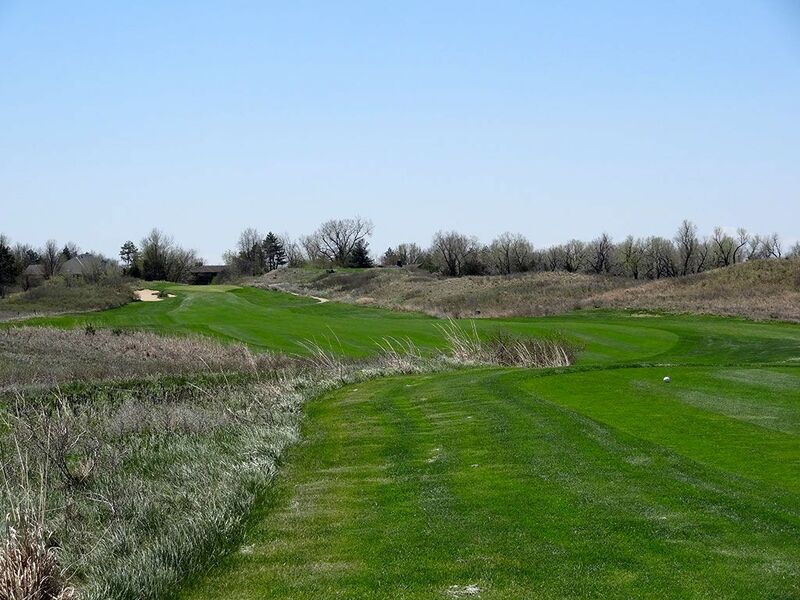 Signature Hole: 14th Hole – 405 Yard Par 4 – While 405 yards may seem like a crazy hole to consider driving the green on, doubters surely haven't been to Prairie Dunes before and experienced the type of wind that can whip through the state of Kansas. Playing downhill the whole way home, the hole as features a 45 degree turn to the left which allows long bombers to cut significant yardage off the hole when taking dead aim at the green. Bunkering and an open field protect the left side of the hole while a series of cottonwood trees act as an attractive backdrop for the green. The smart play is to the bunkers on the right side of the dogleg, a long iron will do, where players will then be presented with the most receptive angle into this green. Maxwell did a great job here using appealing visuals to pull players into taking an aggressive line off the tee while the disciplined player will likely elect to error on the side of safety. 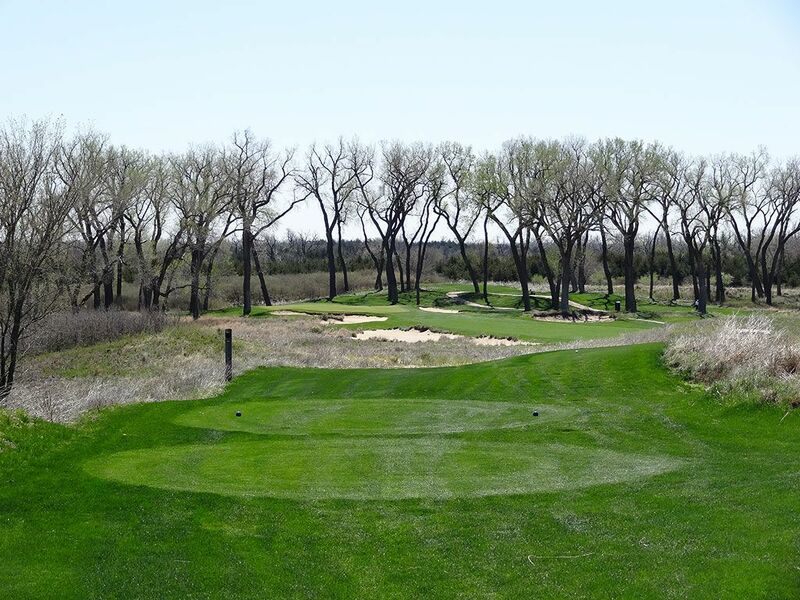 Best Par 3: 2nd Hole – 161 Yards – The most common criticism I've heard about Prairie Dunes is that all of the par threes play uphill; a valid critique indeed. However, the quality of these one-shotters makes helps soften the criticism and is headlined by the 2nd hole. Just 161 yards from the back tee, the green site makes this hole yield a lot higher scores than the yardage would indicate. The green angles away from the player running front right to back left and features undulations that range from a ton of fun to borderline unfair. Any shot that comes up short will find one of the three bunkers fronting the hole or will tumble down the fairway setting up an awkward chipping distance for many players. Players must get their tee shot at least to the middle of the green to have confidence of holding the putting surface while balls getting all the way to the back will likely spill off into the bunker behind the right side or the chipping area on the left. It is truly one of the most challenging short holes I've come across without water and an absolute pleasure to play each time around. 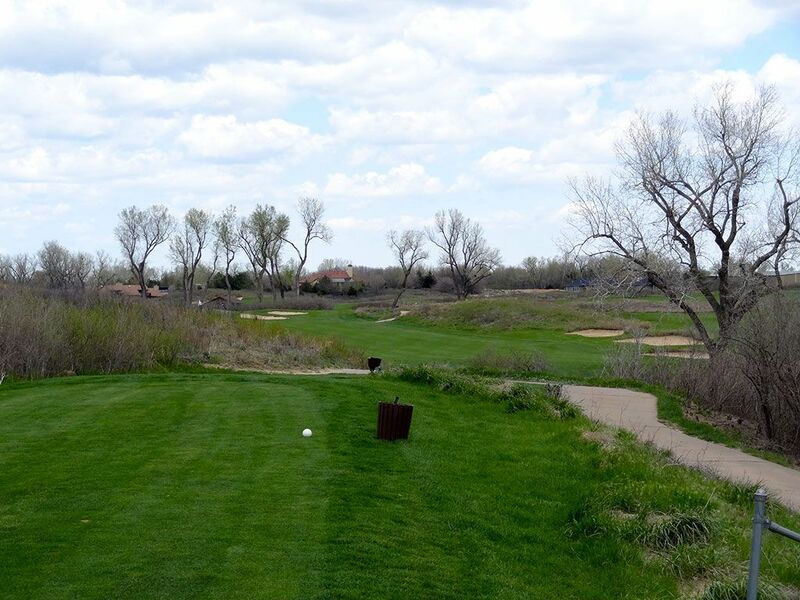 Best Par 4: 8th Hole – 468 Yards – Utilizing classic golf slang, "This is a golf hole!" best describes the 8th at Prairie Dunes. Without exception, this hole demands two exceptional shots to reach in regulation and stands as one of the finest holes in the Midwest. 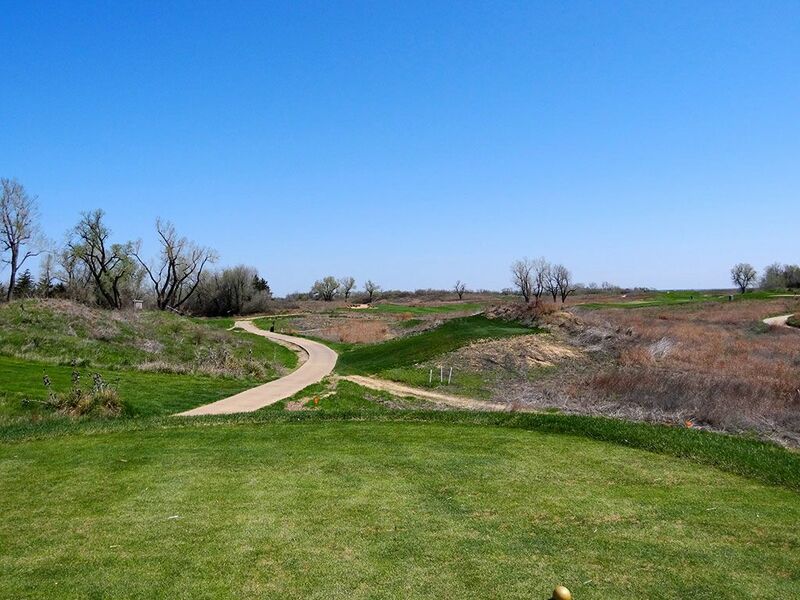 The bunkerless fairway should be your first indication that Maxwell felt the natural terrain was difficult enough to contend with that he didn't need to employ any extra help to create a challenge. The long uphill approach shot plays to a green that is much longer than it is wide and features over a yard of fall from the front to the back; a diabolical feature on an uphill approach that can already be difficult to hit and hold. I don't know what the stats were during the 2014 NCAA Championships held here, but I would be shocked if this didn't rate as the most difficult green in regulation on the course and would be extremely impressed if anyone played this hole under par for the tournament. Best Par 5: 17th Hole – 519 Yards – There are only two par fives at Prairie Dunes which is a feature you will rarely find at a more modern course. The 17th presents a great opportunity to score well with just over 500 yards to cover and often an opportunity to play it downwind. There is little concern off the tee to contend with which should breed confidence in players as they reach for their driver and consider an opportunity to reach this hole in two. In the words of Lee Corso, "Not so fast my friend!" The smallest green on the course is found here and the domed nature of it combined with the interior undulations creates much more defense than the yardage indicates. The brilliance of this green will have more than one player walking away shaking their head wondering what just happened to their well intentioned score. Birdie Time: 3rd Hole – 355 Yard Par 4 – With the right wind this hole can be driveable; without the right wind it is still a great birdie opportunity. The fairway sits at an angle as it right from the right side away to the player's left and finishes at a bunkered green. 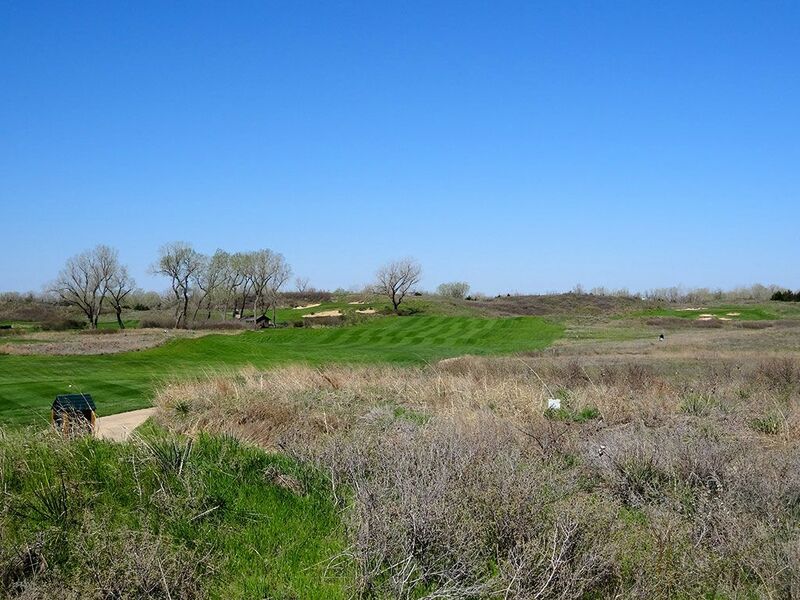 With the tee sitting on the highest point of the course, players are afforded a panoramic view of the surroundings and are also exposed to whatever the wind is offering that day. The diagonal fairway will allow players to cut off some of the yardage and leave themselves a short wedge shot in; an ideal setup for stuffing it close and walking away with birdie. Bogey Beware: 11th Hole – 472 Yard Par 4 – While many players are looking for a fresh start heading into the back nine, particularly at Prairie Dunes after playing the difficult 8th and 9th, Maxwell offers no such reprieve as the 10th and 11th have the ability to deliver the knockout punch to a staggering golfer. At 472 yards the 11th hole presents a stout challenge to any golfer but factor in the often prevalent head wind and you may not have the length to even reach this green in regulation. Players attempting to challenge the corner of this dogleg left may find themselves in the bunker or grass field protecting that side of the hole. Add to that the knob in front of the green that repels shots lacking the proper strength and you are left with a bogey or worse more often than one would care to admit.